Former Liverpool midfielder and Sky Sports pundit Jamie Redknapp has claimed that the current Manchester City ​side are the best Premier League team ever. The player-turned-pundit was speaking after City beat Cardiff 2-0 last night to return to the top of the league, with Pep Guardiola's side now one point clear of second place Liverpool with just six matches remaining. Redknapp told Sky (as quoted by the ​Express): "We’re talking about one of the best sides in the world. For me, the best side I’ve seen in the Premier League." Redknapp went on to compare the current ​Manchester City side to Arsene Wenger's ​Arsenal team of 2004 and ​Manchester United under Sir Alex Ferguson. Arsenal went the entire 2003/04 Premier League campaign unbeaten, while United collected 13 Premier League trophies under Ferguson between 1993 and 2013. From Dennis Bergkamp’s personal shirt collection, with ‘The Invincibles’ Premier League Champions logo on the sleeve. "I played against the Invincibles, we saw the United team that were fantastic," Redknapp added. "I just think this side [Manchester City] are so good, total football." City are still in contention to win the quadruple having already claimed the Carabao Cup in February, beating ​Chelsea in the final at Wembley. They face Tottenham in the first leg of their quarter final tie in the Champions League next week and Brighton in the semi final of the FA Cup on Saturday. Manchester United won the treble under Ferguson in 1999, with current United boss Ole Gunnar Solskjaer scoring a 93rd minute winner in the Champions League final against ​Bayern Munich, but the quadruple is a feat that no English club has ever managed. 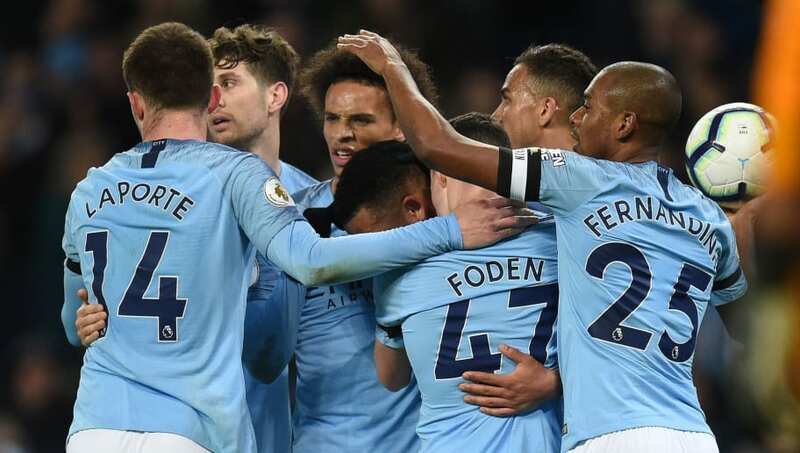 ​​To further support their claim as the best Premier League team ever, City became the first team to gain 100 points in a single season last year reaching the milestone after a last minute win against Huddersfield.